I am taking part in a bi-weekly food challenge with a group of friends. I chose parsnips for this challenge. I followed the recipe pretty much exactly but added mushrooms to the garlic butter sauce. 1. 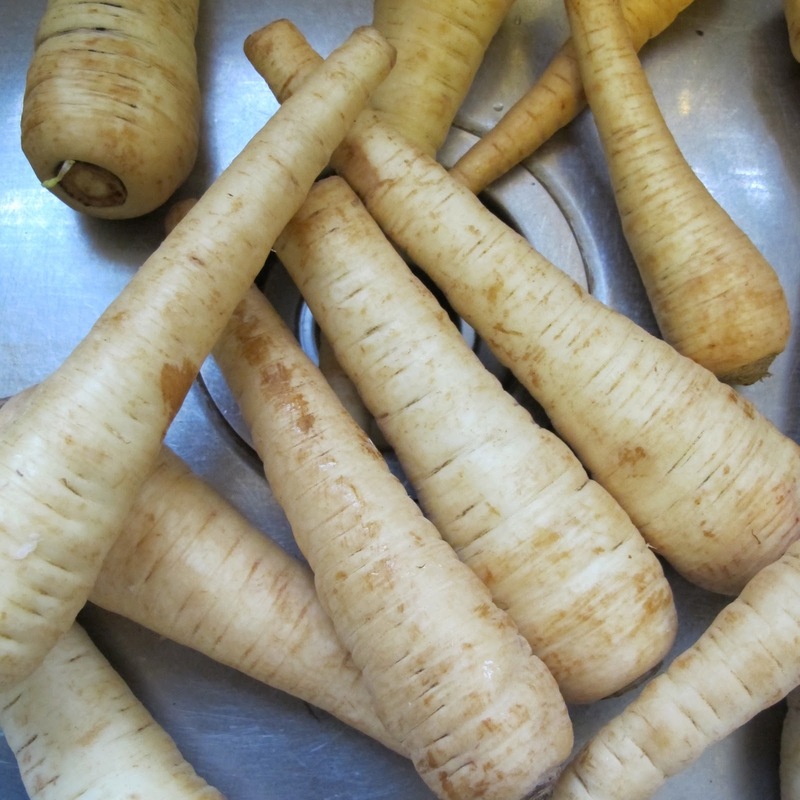 Peel the parsnips and cook in a large pot of boiling water until tender (approx 25-35 minutes). Drain and allow the parsnips to cool and dry. 2. In a large bowl, mash the parsnips. Slowly add in the flour and mix thoroughly. Add in the chives, Parmesan cheese, and a dash of salt and pepper. Mix well. 3. On a lightly floured surface, roll the gnocchi mixture into a thick snake-like shape (about 1 inch diameter). Cut the snake-like gnocchi mixture into small 3/4 inch pieces. Roll each small 3/4 inch piece into an oval shape. With your thumb, press the gnocchi, into the back of the tines of a fork, creating a ribbed imprint. 4. Bring a pot of water to a boil. Place the gnocchi into the pot of boiling water. The gnocchi is ready when it floats to the surface. Drain and serve. Because this gnocchi has such a nice flavour on its own, I served it with a simple garlic mushroom butter sauce. To garnish, I used freshly grated Parmesan cheese. Yum!! This recipe is a keeper, one that I will make again and again! Looks yummy Pegg! Sadly I am the only one in my family who likes parsnips. My mom used to grow them in our garden every year. Tina, your family might not know what the gnocchi are made with, if you don't tell them. they are quite yummy! Mmm...sounds good! I've never made gnocchi before - I think I'll have to try your recipe!